I’m interested in the idea of personal growth and progression, of learning and acquiring knowledge, and about how our growing knowledge changes as our perception of the world around us. I guess that’s one of the reasons I started writing this blog – I wanted (and still want) to understand my own personal beer history. My beer biography has had several distinct chapters, with the end of each chapter and the start of the next marking one of the turning points in my life. Thankfully, some of the chapters were very brief, whilst others have been more prolonged. Some chapters end abruptly, whilst others merge almost imperceptibly into the next. Thinking back over my time as a beer drinker, I can see now that my tastes have grown steadily more complex, more interesting, (and more expensive). I’ll admit that there have been blips – although there were normally mitigating circumstances. I’ve previously recounted a little about “The Park” chapter. If you fancy reading the first chapter of my beerbiography click here. I delve deeper into those dark memories at some time in the future, but now is most definitely not the time. My abiding memory of the lagers that I drank that summer, is that they were too fizzy. I could hardly drink them. The bubbles would get up your nose as you raised the glass to your mouth, or tickle your throat as you swallowed. You certainly couldn’t neck a pint of Stella comfortably. Isn’t it odd that I remember nothing about flavour? No, it’s probably not that odd, they’re hardly the most flavoursome of beers, and getting a bit sloshed was the main aim. Getting sloshed, and helping to summon up the courage to actually talk to a girl. The drawing in of the nights marked then end of Mainstream Euro-Lager and the start of my Mainstream English Bitter phase. To be honest, there is such an overlap that they probably should be the same chapter; 2a and 2b perhaps? I never really enjoyed the lagers. It was just what you were expected to drink. Anyway, at some point, I decided to try something different, and found that I actually enjoyed the experience. Suddenly, I was starting to appreciate some flavour. At the primordial beginning of my beer-life, I would have had no ability to explain what I was tasting, or even describe why I enjoyed it more than the swill I had been drinking before. I was just happier with a John Smiths, Boddingtons, Tetley (insert name of other English macro ale as available). If I am honest, I was never cool during my school years. I don’t think that I was quite as hopelessly uncool at Will from the BBC’s The Inbetweeners, but I can see my young self in him. Anyway, drinking lager was cool, drinking bitter was not. Bars were cool, pubs were not. Others were cool, I was not. Rather than stay at boarding school, I used to stay at my friend James’s house on Saturday nights. On our walk into town, we would invariably stop at his local country pub for a decent pint, before arriving at the bar/nightclub of the moment. My pint at The V***** Arms [redacted for dramatic reasons] was always my favourite drink of the night – and given a stronger sense of self, I would have stayed there all evening chatting to my friend rather than join the crowd heading into town aiming to get pissed (usually successful) and maybe snogged (usually unsuccessful). This Saturday routine continued, largely unaltered, for about a year. Turning 18 during the Christmas holidays removed the illicit thrill of the purchase, but didn’t change much else. To be honest I hadn’t been carded (ID checked) for a while; I just about looked old enough, and anyway, underage drinkers don’t usually go for bitter (#pro-tip). The Mainstream English Bitter chapter merged into the CAMRA chapter about a year later. I had left boarding school, and secured myself a place in an academic college in the next county, with the single goal of negotiating a place on a specific (and ridiculously competitive) university course. During that summer, I still drank with James in his quiet little pub. I also became one of the regulars at the quiet little pub in my own village and I started working behind the bar of a private members club in a nearby seaside town. I learnt a lot about beer and drinking during that year after I left school. I learnt about hospitality, and familiarity. I learnt how nice it felt to have your own spot at the bar, to appreciate the relationship between barman and patron, to feel what it felt like to have your freshly pulled pint arrive at the bar by the time you have hung up your coat at the door. I learnt how it felt to be asked to join a regular weeknight quiz team (for reference; Hold the cradle still Mother, while I shave the chicken’s lips! is the best name for a pub quiz team. Ever. Embarrassingly, I don’t remember the names of anyone else in the team, although I do remember that they were a thoroughly friendly bunch). I learnt how it felt to represent your pub in the local inter-pub quiz championship (this one was much more serious; no silly name, and the line-up included the landlord, the vicar, some other chap from the parish council and me). I learnt about last orders and lock-ins. I learnt to handle both the drunk and the obnoxious. I learnt that manners and civility can get better service for the customer and a drink for the barman. I graduated from John Smiths and Boddingtons to Bass, Wadworth’s 6X and Flower’s IPA. I can remember seeing the advert on television and thinking; I’ll give that a whirl (In the advert; some ramblers enter a country pub and all chose beers with names like “Skull Splitter” and “Old Belcher”, before the knowing local orders a pint of Flowers with a knowing smile, and the voiceover makes some comment about the folly of choosing a beer by it’s name). 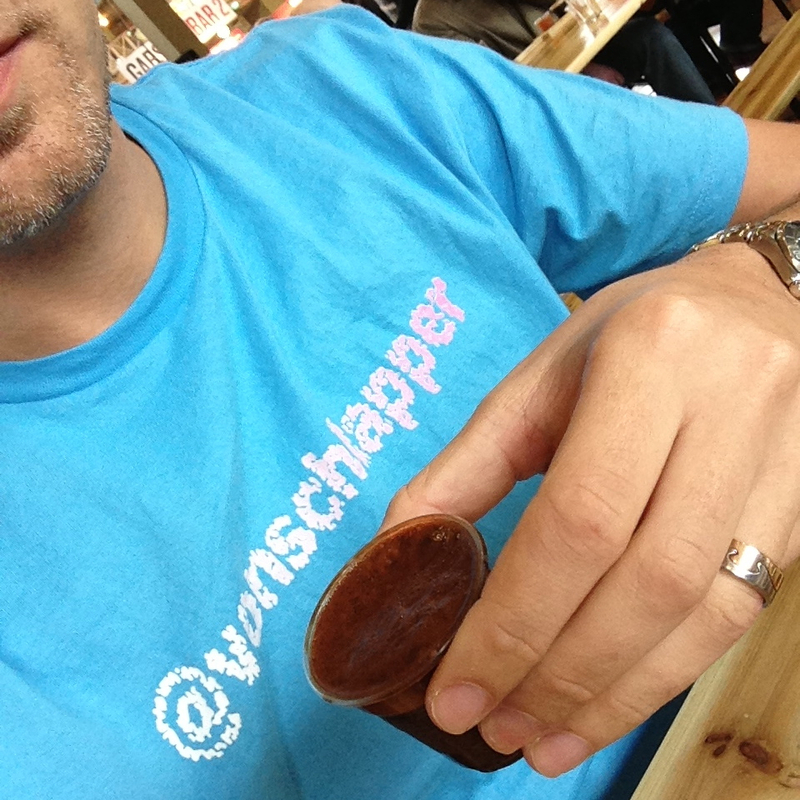 And it was a hop, skip and a jump from there to the next chapter…CAMRA. For those who do’t know; CAMRA stands for the CAMpaign for Real Ale. Set up by four friends in 1971, CAMRA’s goal was to champion variety and choice for the beer drinker, and stifle the expansion of flavourless mass-produced beer. I have never been a paid-up member of CAMRA, although that is probably more to do with being a tightarse than for any moral or ethical reason. In my defence, I was about 19 and more interested in my own position at the bar than in the greater good of the beer industry (and, I hadn’t quite grown into my beard, pipe and hand-knitted jumper). 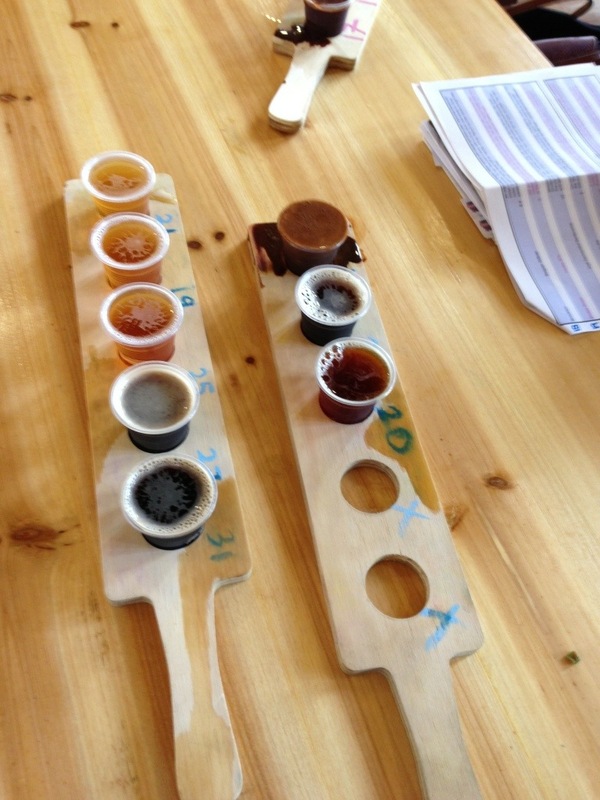 My appetite grew, as did my willingness to try new beers. I remember some of the better things that I tried that year – Teignworthy Reel Ale, Dartmoor Jail Ale, Sharp’s Doom Bar. They were all of a similar style (English Bitter), but I couldn’t have told you that in those days. 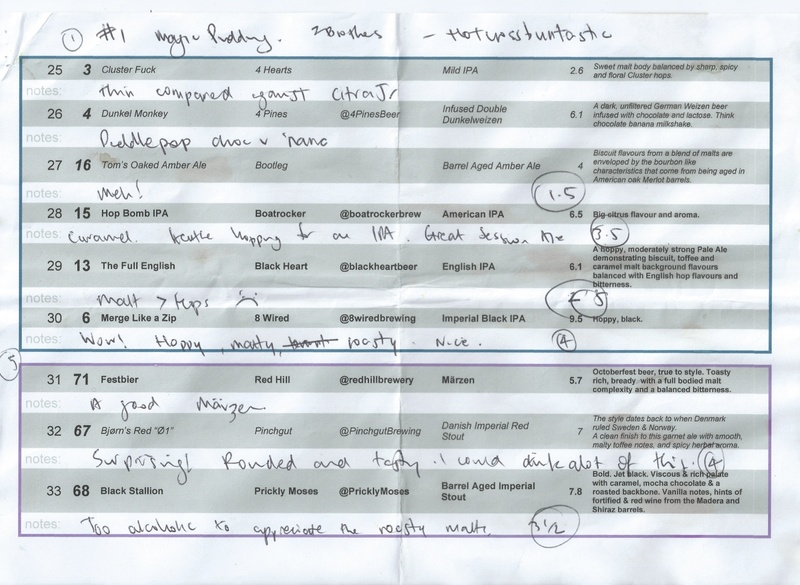 There were some absolutely cracking beers but, looking back, they were all very similar (in style, in flavour, in ABV). One of the hallmarks of the modern Craft Beer revolution is the breadth of variety; there are Pales, and IPAs, and Wits, and Dubbels, and Browns, and Saisons and Porters, and Lambics, and… (and they all taste completely different!). Don’t get me wrong – I love Real Ale, and I think that CAMRA started the ball rolling on the salvation of beer, but there is so much more to try. In a future post, I’m going to look at the more recent chapters of my beerography, from Brisbane’s wilderness years to my craftbeer rebirth (also known as The Second Enlightenment) ! I’ve been building towards today for a few weeks (read; months). As a new age family man, I don’t get that much time on my own. Don’t think I’m complaining – quite the opposite – but, a day that is entirely my own is a rare thing to behold. And what better to do on a me-day than go to a beer festival? GABS, or the Great Australian Beer SpecTAPular, is a be festival organised to coincide with Melbourne’s Good Beer Week. (There’s a whole rant about Good Beer Week, and my inability to attend any of the amazing events, but that’s for another day!) Anyway, GABS is the brainchild of the guys at The Local Taphouse in St. Kilda. Now in its third year, it is held in the World Heritage listed Royal Exhibition Building in Carlton, and a number of Australian and New Zealand breweries are invited to brew a new beer for the festival (this year some other well-renowned international breweries have been included too). There were 92 freshly minted beers, plus a selection of old favourites at the Beer Market (a kind of farmer’s market for breweries). There was a band, and an awesome selection of eateries – no Maccas here – it’s all small companies like PhatBrats (wicked hotdogs), BarBurrito (mmm, burritos), TheMeltShop (posh toasted cheese sarnies). So what is the form? It’s not about getting hammered – drunkenness is frowned upon – it’s about tasting the myriad of different characters that beer can display. It’s about seeing what a master brewer can do when he’s playing with a free rein. In fact, I didn’t see anyone worse-for-wear during the 4 and a half hour session. The most raucous behaviour was from a Buck’s (Stag) party, which culminated in an official “GABS ambassador” (and craftbeer twitter regular) playing dominitrix with a tasting paddle. The experienced attendee buys a ticket online, and a supply of tokens. More tokens can be purchased at the event. The unit of GABS currency is the $2 Token, so that actual money only changes hands at the token-stall. An 85ml beer taste is worth 1 token, a paddle of 5 tastes is 5 tokens, and a glass of beer is 3 tokens – the ticket price includes a GABS glass, which you get to take home at the end of the day. 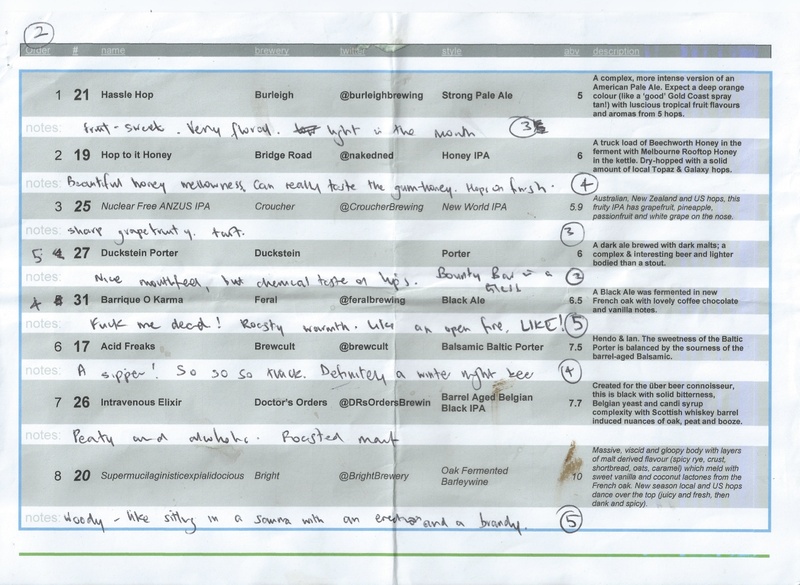 There are two strategies;  make it up as you go along – my method at GABS’12, or  check out the beer list and plan your attack before the day. Actually, most beer geeks have pre-planned their paddles – the anticipation is half of the fun. I had gone through the list of 92, selected the must haves and the should haves. That whittled me down to 30something different beers. I ended up with a selection of brews, varying from IPAs to Porters and from Märzens to Imperial Stouts. Disappointingly, two of my choices were scratched. As I tasted, I wrote my thoughts down. 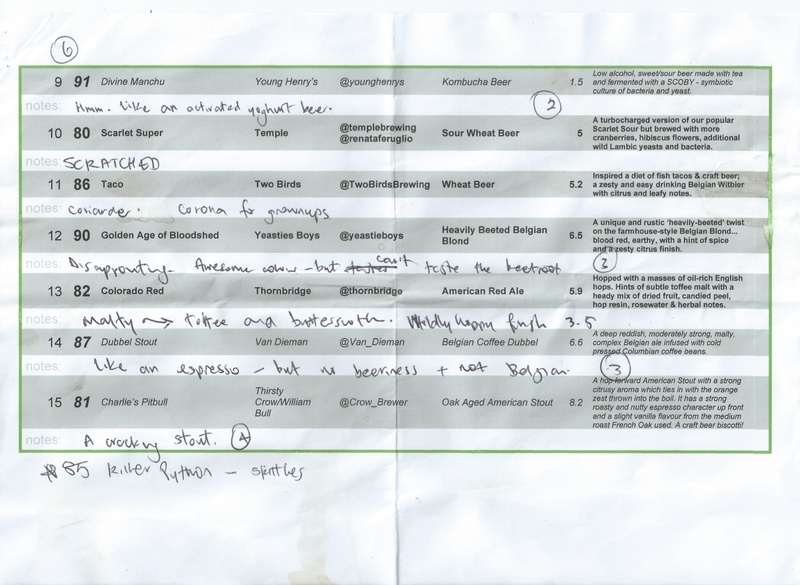 Some beers were insipid whilst some were outrageous. All were interesting! My beer of the day was an amazing Black Ale from a brewery in WA called Feral. Their festival beer was a Black Ale, aged in French Oak Barriques (it’s a type of wine-barrel), and is called Barrique O Karma. I love the cheeky reference to the current resident of the White House. I’ve drunk some beers today that I know I won’t drink again, and some that I hope I do. Either way, it’s definitely not XXXX territory! 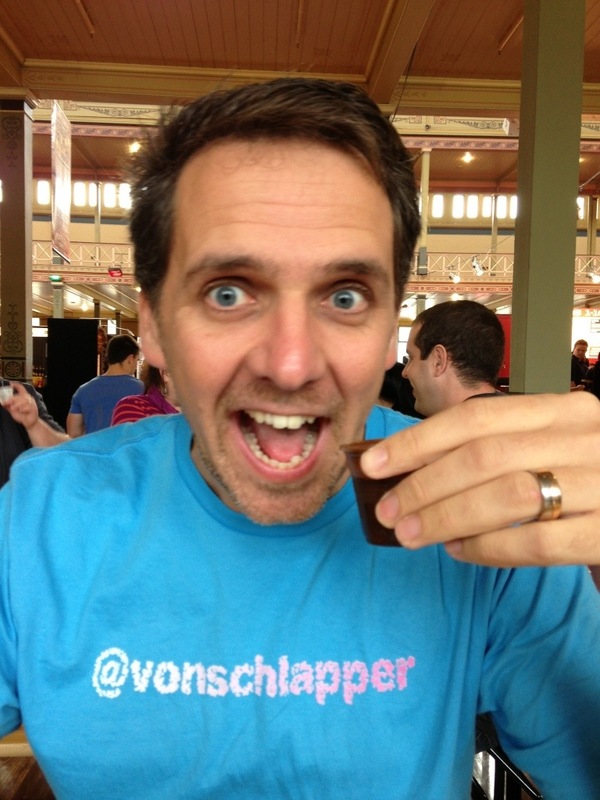 If you get a chance, get to GABS’14 – you’ll have a blast!